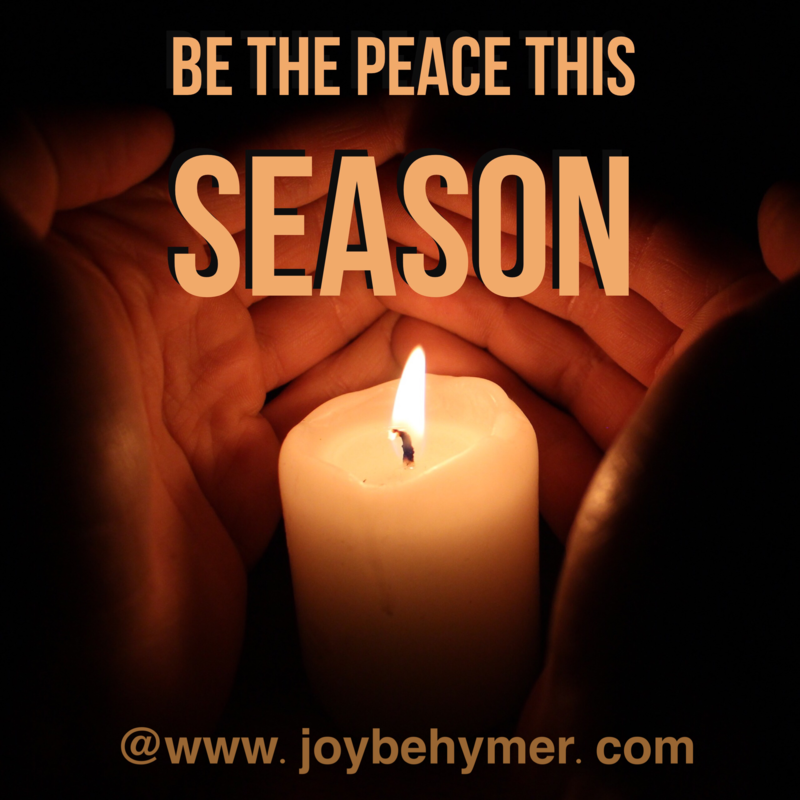 It’s that time of year for much busyness that leads to stress, but you can also take the time to “be the peace” this season. I find the holidays a stressful time for many. Whether it’s because of emotional or financial reasons, so many people struggle when dealing with the extra stress and pressures that accompany this time of year. On top of our regular busy lives, we start shopping, decorating, and attending parties and family gatherings. Though many look forward to this fun time of celebration, we all feel the stress and added pressure of trying to get it all done. It can be so easy to get caught up in our to-do lists and lose sight of the the present moments that call for peace and kindness. We never know the strain others may be carrying during this time of year or whom among us could use that extra smile or a helping hand. When we take the time for peace, we can be a light for others. It can be a time of giving. Not just monetarily, but with our actions. It can be hard to enjoy the holidays when you have too much added to your schedule. I know I am already looking for ways to balance out all the to-do lists that finish up the year. One of the easiest and most do-able steps is to find time-outs each day. A time-out can be simply taking a few minutes to center ourselves or add some extra self-care to carry us through. Now is a perfect time to schedule a massage, a day at the spa, or even just turn your technology off for an hour or two to relax and regroup. We need to add some extras to help us maintain our inner peace. The more little moments we can carve out for de-stressing, the more peaceful we can feel and the more we can give back to those around us. It is not only important to experience peace within ourselves this time of year, it’s also important to radiate peace in our families and especially when we are out interacting with others. There are more people out and about shopping and we may need extra patience in dealing with others, whether we are shopping too or just running our everyday errands. When we can feel more peaceful, we can be more inspired to kindness within the hustle and bustle. If you have the opportunity and abundance to give more, I’m sure there are many people and organizations in need. And what a wonderful way to spread love and peace! We do, however, forget the small moments and deposits we can make each hour of each day. Peace and kindness are also treasures to share. They can be one of the biggest gifts you give to others. Put peace on your to-do lists. Be at peace, give peace, and demonstrate peace. It is a gift that keeps on giving.